New pests, a shrinking water supply and rising temperatures will alter agriculture in California. Tightening water supplies, encroaching pests and dwindling winter "chill hours," vital to many crops, are just some of the climate challenges facing California farmers. Heat and Harvest, a new series from KQED Science and the Center for Investigative Reporting looks at the multiple climate challenges confronting California farmers. It’s no trivial matter. California’s Central Valley is widely known as “the nation’s salad bowl,” and there’s more than bragging rights at stake. Ag contributes more than $30 billion a year to the state’s economy. Previously, Climate Watch has focused on efforts in the ag sector to conserve water or lower the carbon footprint. Some farmers are trying new technologies, others are experimenting with renewable energy. But meeting climate challenges on multiple fronts will, for some farmers and ranchers, be a matter of survival. Here are links to some previous reporting from Climate Watch, from ag’s potential role in California’s emerging cap-and-trade program for carbon emissions, to innovation on the renewable energy front and new conflicts over land use. Supporters of sustainable agriculture are looking forward to some “sustenance” of their own, after an eleventh-hour win in Sacramento. The new bills lays out an approach for ensuring that all proceeds from the sale of cap-and-trade permits be used to further reduce greenhouse gas emissions. Among the eligible activities listed in the bill are farming and ranching practices that reduce greenhouse gas emissions and sequester carbon. Engineers at NASA and CSU Monterey Bay are developing an online tool that can estimate how much water a farm’s field might need. Satellites orbiting the earth take high-resolution pictures which are combined with on-the-ground data from farms. 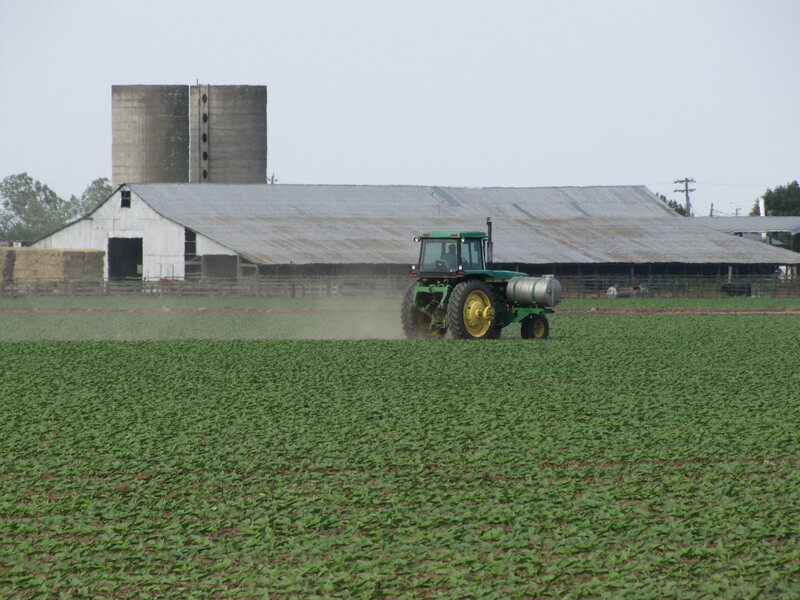 Sun and open land make the San Joaquin Valley ideal for growing crops. But they’re also attracting an increasing number of large-scale solar power developers to the region. And that’s generating debate over whether farming the sun is really farming. California is just a few votes away from changing the rules to allow farmers to connect machines that create bioenergy to the electrical grid, a privilege that has thus far been reserved for farm-generated wind and solar energy. It’s been more than two decades since the U.S. Department of Agriculture updated its Plant Hardiness Zones Map, used by gardeners across the country to determine what will grow in their yards. The new GIS-enabled map unveiled this week is a boost to people who live in places that get a lot of cold weather and may be seeing slightly warmer average winters now. Despite the new level of detail in the map, gardeners in California and the Bay Area in particular, won’t learn much from it.